I enjoy a good bargain, sure. During one of our community yard sales, I remember taking a walk around the neighborhood and finding a colorful beach umbrella. I had never treated myself to one and living in Florida, I take my two daughters to the beach quite often. The owner wanted $8 for it, which is pricey for a yard sale. I tried to bargain with him, but he wouldn’t budge. I opened and closed it, convincing myself I would pay double in the store and that I could really use it. And I did. I used it exactly 3 times before the plastic piece that held the umbrella open broke off. And that was that. The joy of a low price is short lived, but the joy and pride in having a great quality product lasts a lifetime. A quality product is going to cost more. Writing for DutchCrafters, I get to see the solid wood furniture firsthand in the showroom, and I’ve had the opportunity to travel to Amish woodshops to see it being made. 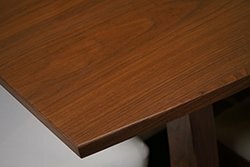 There’s a lot that goes into every piece of solid wood furniture we offer, and it’s way above and beyond the veneers, laminates, and plastics of other furniture. There’s a lot behind every price tag you see on real wood furniture. 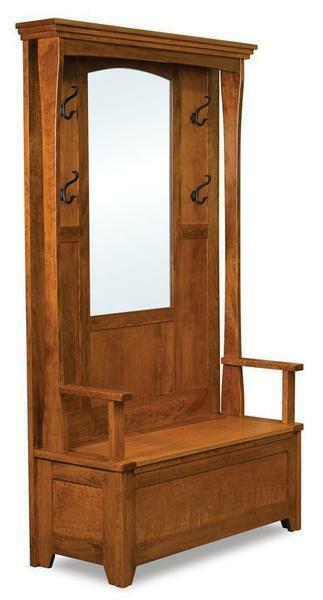 Wooden furniture will last and can handle repeated, heavy use. It literally can last for generations and doesn’t require much maintenance outside of regular dusting . Its durability contributes to maintaining its value. Customers often joke with us in their testimonials that when their new Amish furniture comes home, their children quickly claim which pieces they want left to them one day. Solid wood brings in the beauty of the outdoors. It’s full of warmth and character, making it something enjoyable to use and view within the home. Each and every piece of solid wood furniture is unique, with different grain patterns creating their own art. 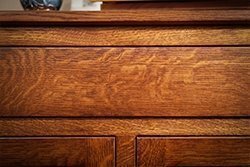 There’s the prominent grain pattern of oak wood and the unpredictable flecks and swirls of oak wood that is quarter sawn. The unpredictable grain pattern of quarter sawn oak wood. There’s elegant and refined cherry wood and the rich color and warmth of walnut. Reclaimed wood brings its rich, authentic nature to new pieces with history wrapped up in it, enhancing the effect it has in a room. 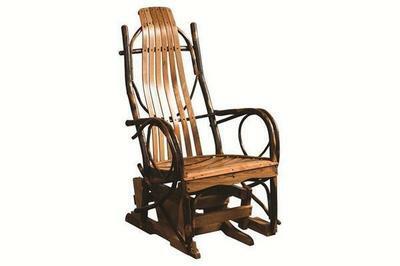 The bending qualities of natural hickory wood are like no other and the way pine wood can show off distressing techniques makes it a popular pick. This character and warmth can’t be found on particle board, metal, or cheap veneers. 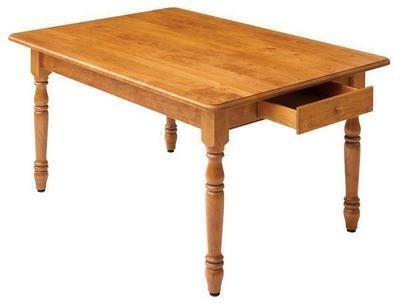 Wood furniture saves you money in the long run. 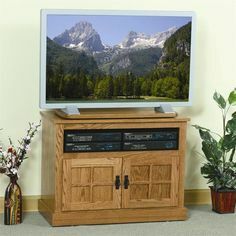 Solid wood furniture is a buy it once and enjoy it forever kind of relationship. While you might pay more for the custom craftsmanship, the quality materials and the long-lasting durability, it will pay you back over time when you don’t have to buy the furniture over and over again. Solid wood is something that works with just about every décor style, from mid-century modern to industrial to formal. 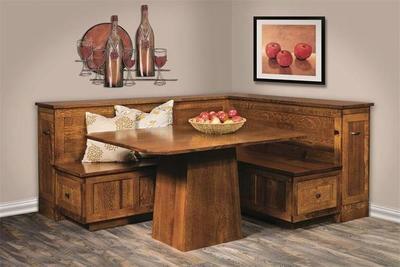 Cherry wood wearing a traditional or country look for the Country Farm Dining Room Table by Keystone. 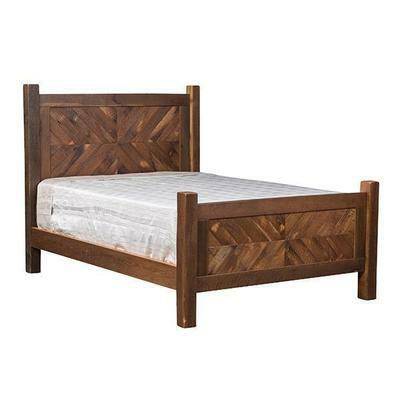 The Reclaimed Barnwood Chevron Bed matches rustic or contemporary styles. 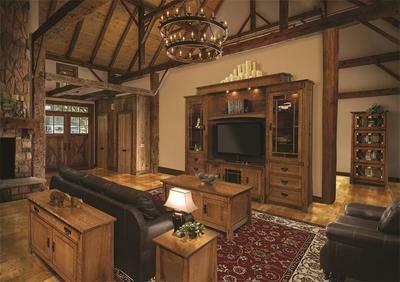 You can easily mix and match wood types in different rooms, another great feature of solid wood furniture. Solid wood furniture is built with sustainable material. Wood used for DutchCrafters Amish furniture comes from sustainably managed forests where the trees are replaced to ensure continuous growth. 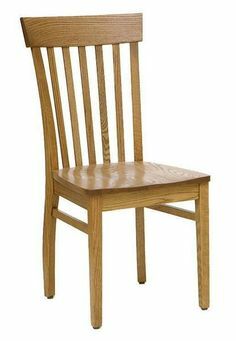 The durability of solid wood furniture prevents it from wearing down and breaking, then being thrown into a landfill to hurt the environment like plastic or cheaper materials often do. 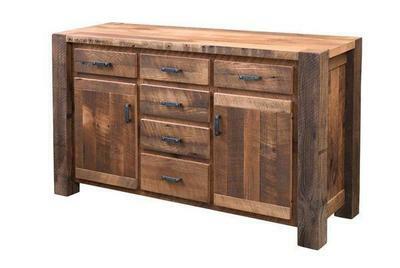 With solid wood furniture comes a wow factor. The quality is apparent and the character is rich. A craftsmen can make a lot more out of wood than a machine producing metal or plastic parts can and the difference is noticeable and impressive. 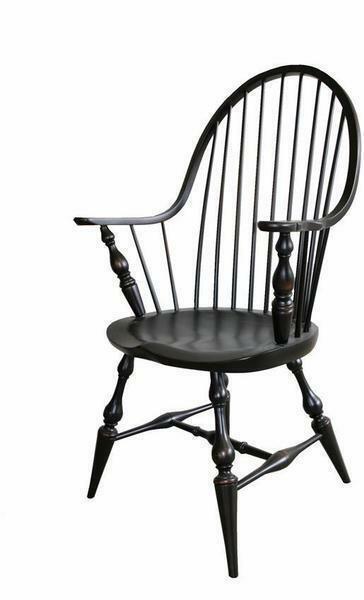 Notice the steam bent bow of the Amish Windsor Continuous Bow Chair.…. …..and the unique colors of the Amish Xavier Trestle Dining Table with a Live Edge. This is one of our favorite aspects of wooden furniture here at DutchCrafters. If you’ve imagined extra doors, different dimensions or new features, or you prefer distressing or need stain matching, you can always ask us about it. 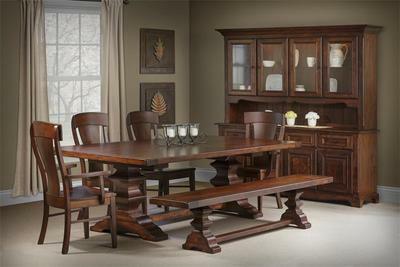 The Amish Newport Breakfast Nook Dining Set is customizable to fit your space. Amish made desks are highly customizable. 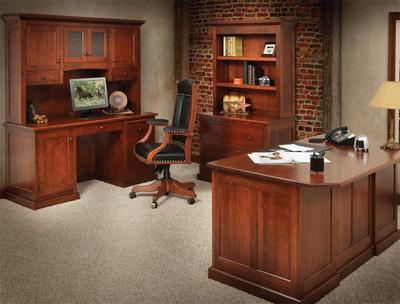 Consider the following for the custom made Amish Lexington U-Shaped Desk: Wood type, finish color, distressing options, addition of hutch top, hardware, drawer slides, glass top for desk space, file drawer locks, power station options, and custom dimensions. 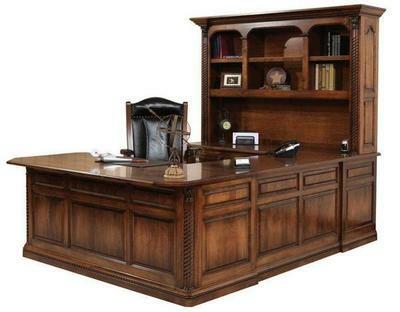 The Amish Lexington U-Shaped Desk with Optional Hutch Top. Distressing techniques include light to heavy distressing, hand burnishing, wire brushing, and sandblasting. 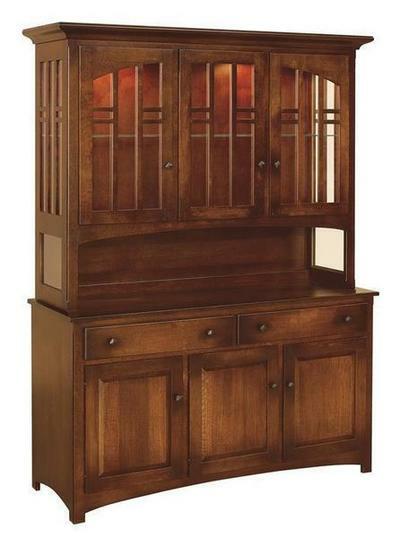 The Cascade Hutch in quarter sawn white oak wood with burnish stain. 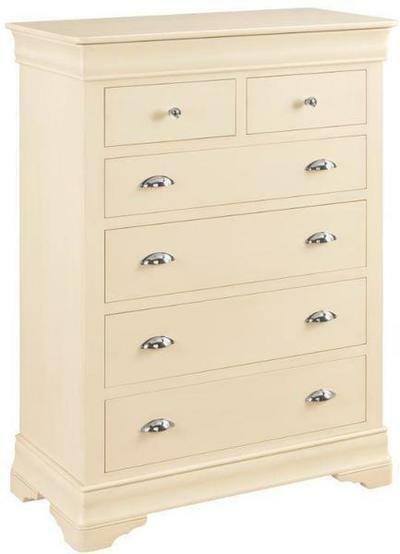 The benefits of wood furniture make it worth the asking price, for quality and beauty that will pay you back for decades.